Those among you who had the pleasure to commute with the U75 know it already. Not only on this U-bahn there are tables and table service (coffee but most of all Bierchen…after work…a very Ruhr experience), but the stops are read by children. It is interesting to see the effect that tram stops announced by children make on people. All of a sudden everyone is more well-behaved, less frantic, more quiet, more human. Today, in my weekly “Pfand-moment” – bringing back bottles to the magic machine which crushes them and gives you back the money – I noticed a nice initiative: the Regenbogenland box. 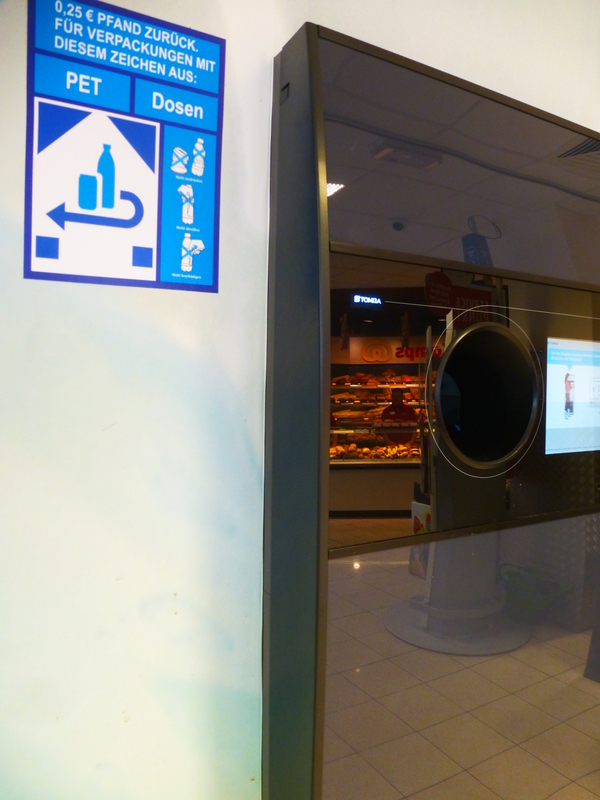 You can put here the Kassenbon which entitles you to the empty bottle refund. 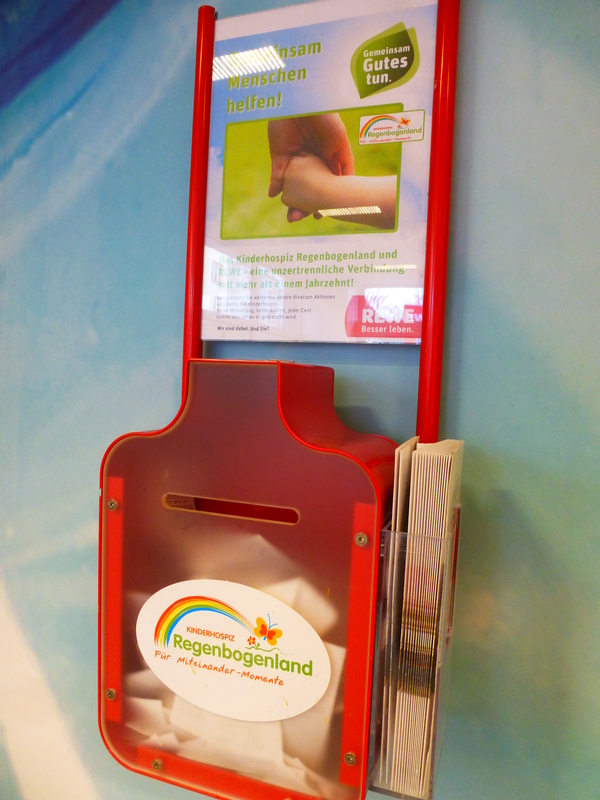 Regenbogen is an hospital for children with severe illness, and we want to help. If all metros of the world had stations announced by children voices, the world would be a better place.